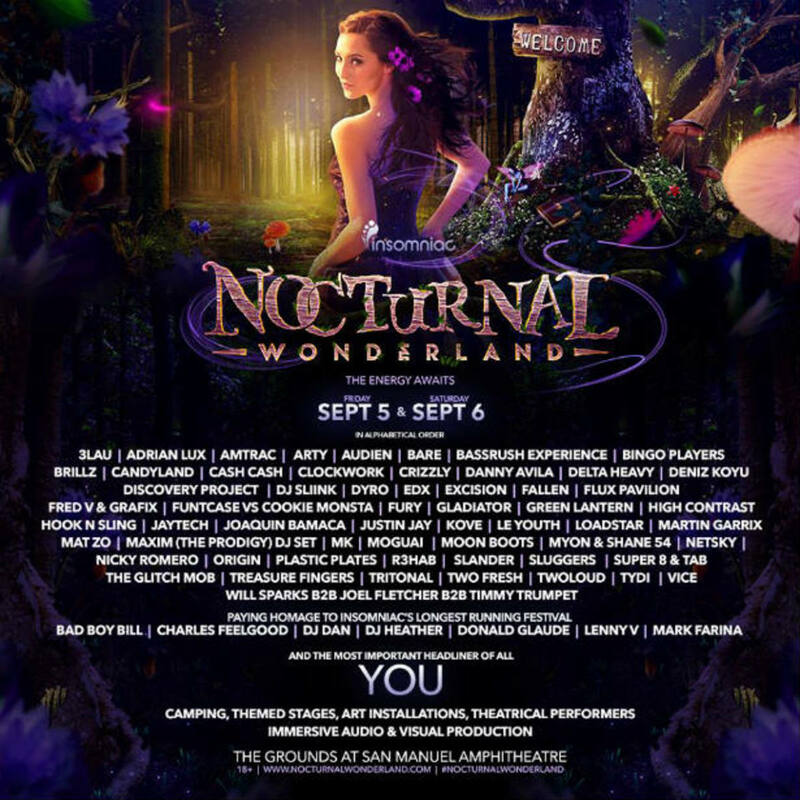 This afternoon, Insomniac Events released the highly anticipated lineup for the 19th installment of Nocturnal Wonderland, Southern California&apos;s longest running festival. Over two days of dancing, good vibes and music - attendees are invited to fall down the rabbit hole and into "Camp Nocturnal." Famous for their intense production value, Insomniac has already promised the return of the larger than life Zen Owl stage, Bassrush and many new surprises. CHECK OUT LAST YEAR&apos;S RECAP! Let&apos;s talk about this lineup though! With names like Bad Boy Bill, DJ Dan, Mark Farina and DJ Heather playing homage to the festival; alongside huge industry names including The Glitch Mob, Flux Pavilion, Myon & Shane 54, Netsy, Tritonal, Treasure Fingers and Adrian Lux you&apos;re already in for an exhilarating ride. 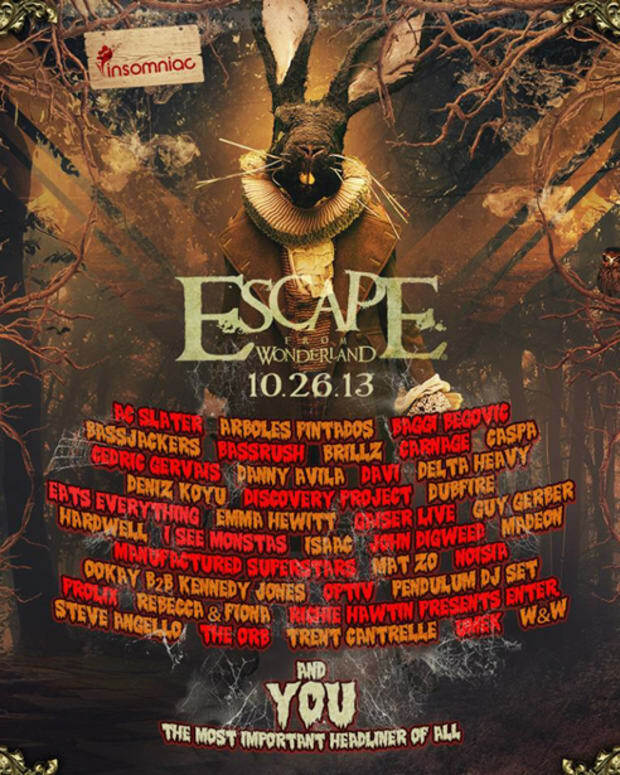 Add in a DJ set by The Prodigy, a battle between Cookie Monsta VS Funtcase and an epic B2B set between Will Sparks, Joel Fletcher and Timmy Trumpet... there&apos;s just too much good stuff here. 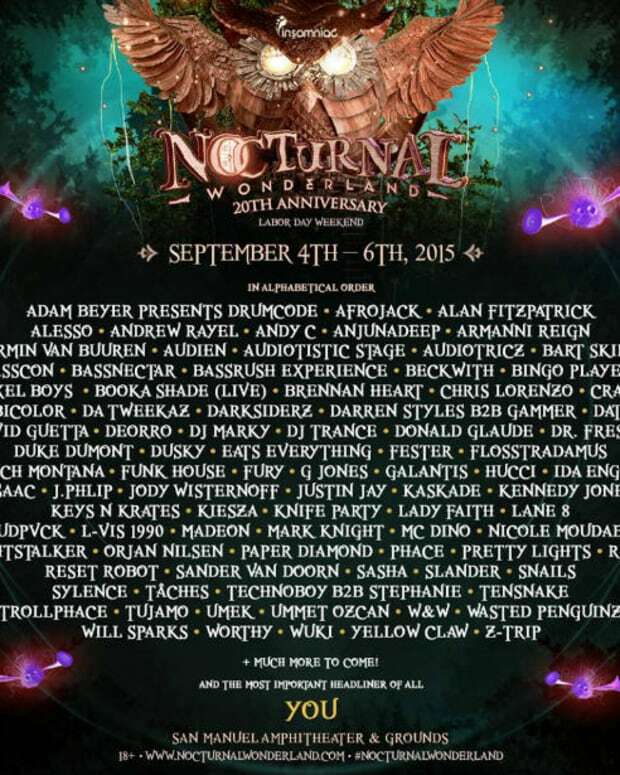 Nocturnal Wonderland is an 18+ event. GA tickets are priced at $149 + service fees. VIP tickets are also available for guests 21+ at $279 + service fees. VIP amenities include a separate entrance to the festival for expedited access, exclusive decks with a full cash bar overlooking the stage, private restroom facilities and a souvenir laminate and lanyard. The Nocturnal Wonderland campgrounds will open on Thursday, September 4 for those who purchase a three-day camping pass and will close on Sunday, September 7. Two and three day camping passes start at $120 and $165, respectively. A festival ticket is required to enter the campgrounds. Tickets and camping passes are on sale now -- Click Here to secure yours! 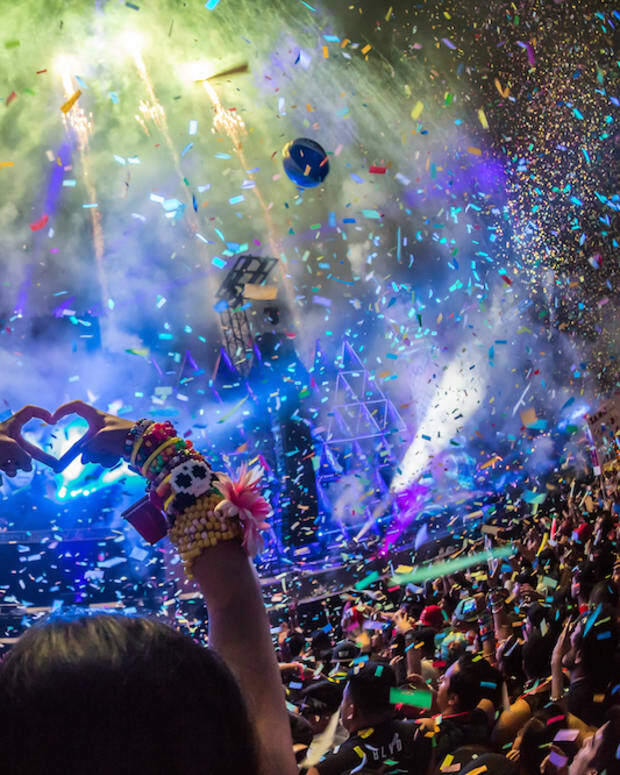 Follow Insomniac Events on Facebook & Twitter!